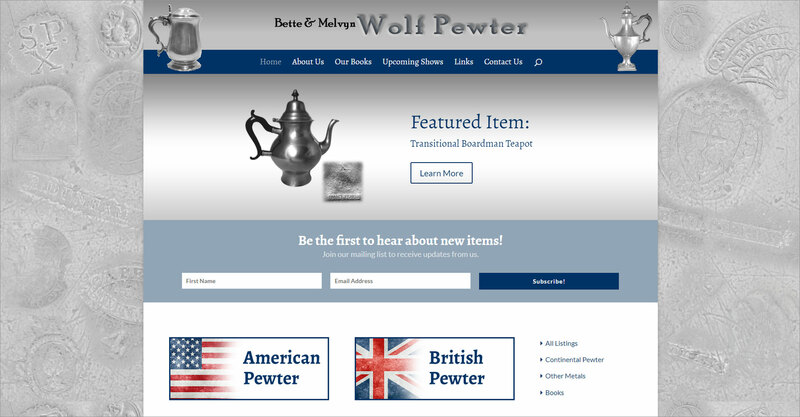 Wolf Pewter is company in Flint, MI who collects and sells pewter collectibles. 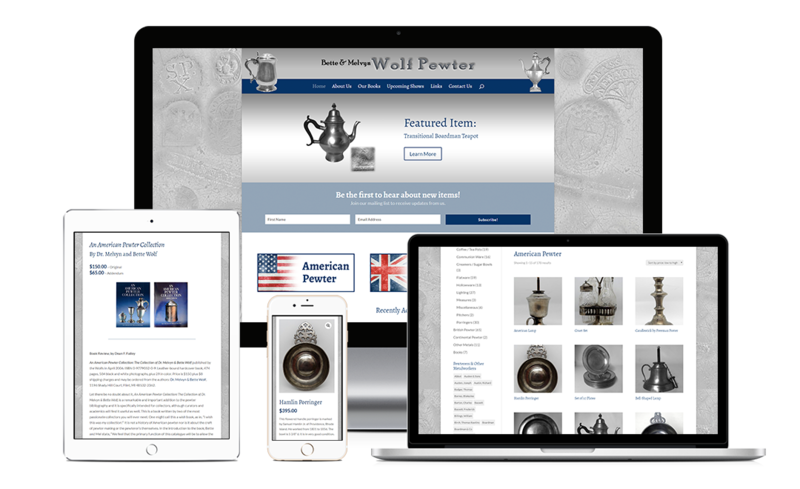 This website was built with the Divi theme from Elegant Themes and included custom graphics, a mailing list opt-in form, and listings for each of their 250+ products. 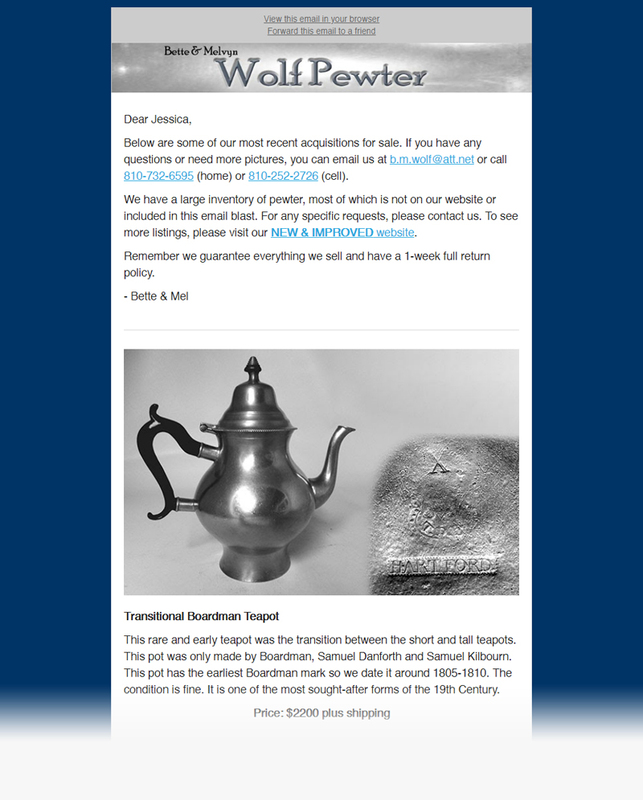 We also assist them with their email marketing and list management.